Teaching Freida about Lag BaOmer this year got her in a campfire tizzy! (Evidently there is a Yo Gabba Gabba episode about camping that had her connecting the bon-fire holiday with tents, s'mores, sleeping-bags, and even hotdogs!) 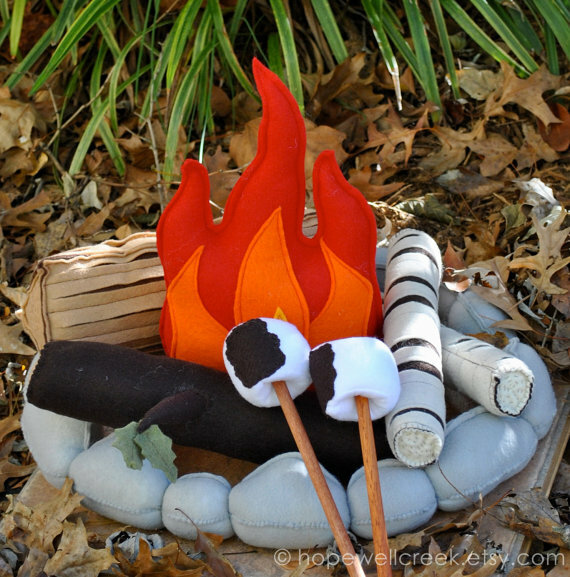 I recently came upon this adorable campfire play set, and thought this would a perfect addition to our dramatic-play toy collection - not just for Lag BaOmer, but for summertime in general. 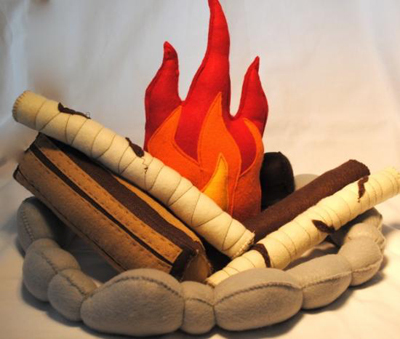 Freida would just freak from this handmade felt playset from Hopewell Creek! Since we didn't exactly have this around for Lag BaOmer this year, a friend of mine (thanks Rachey!!) 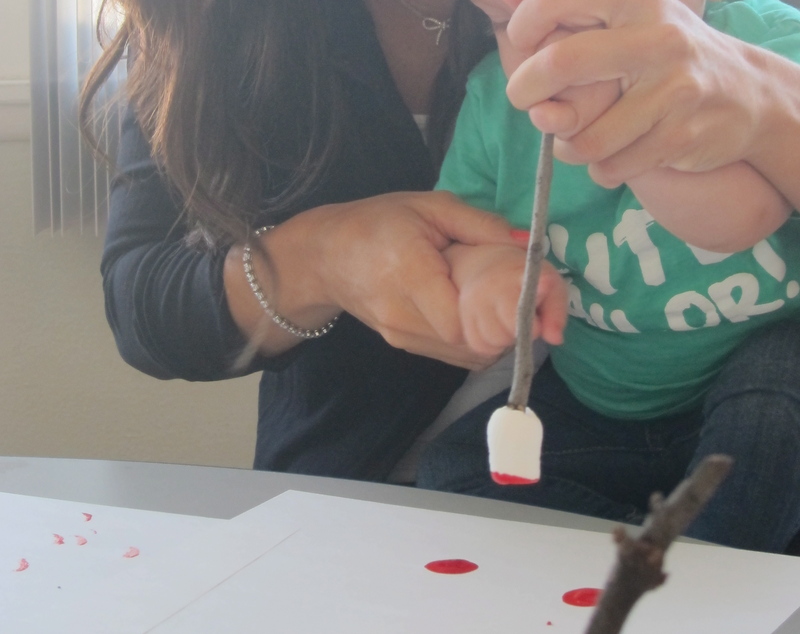 had a genius idea for the kids at Babyccino, and Freida loved it as well: sponge painting with marshmallows (on sticks!). 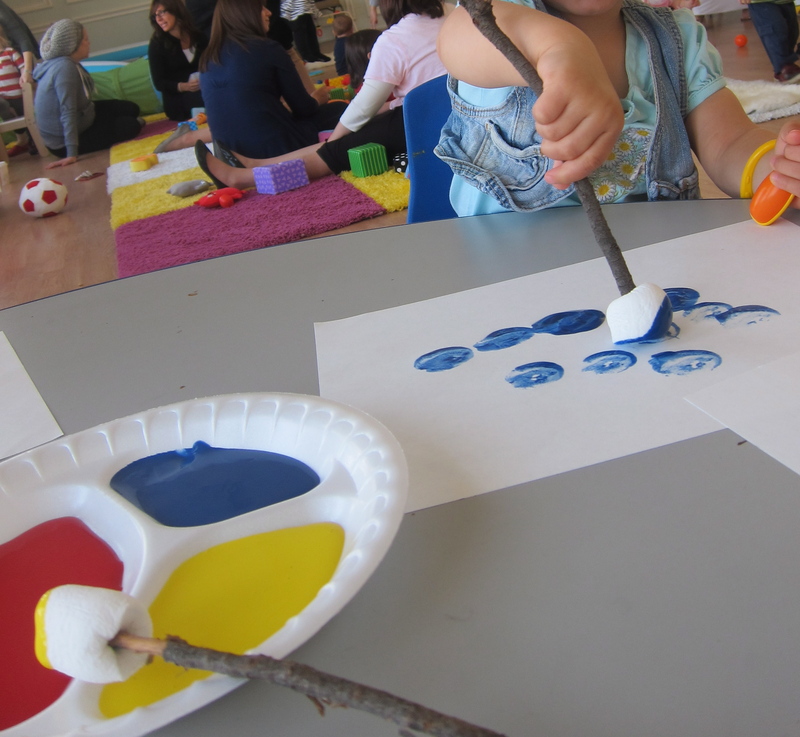 Afterward I let her and her neighbor spend the afternoon marshmallow-stick painting Rabbi Shimon Bar Yochai's Cave (i.e. 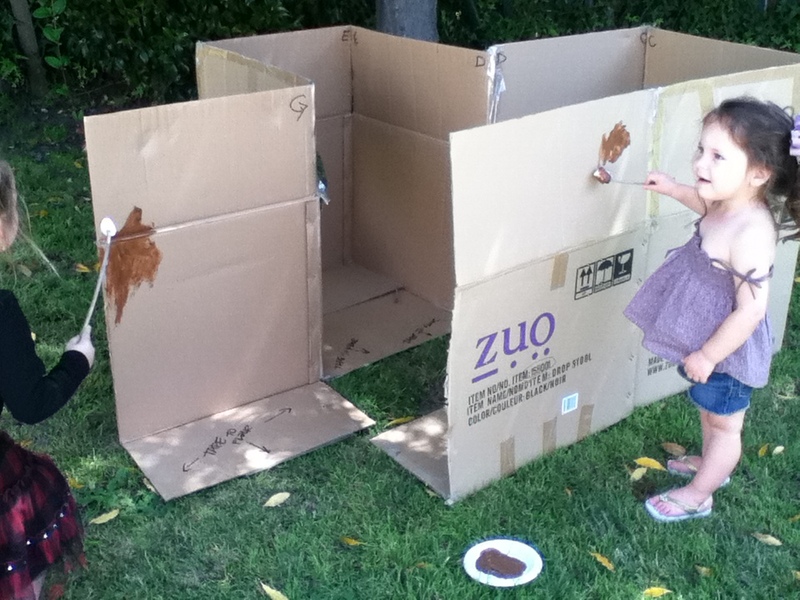 a cardboard box). Kept them busy for hours! !